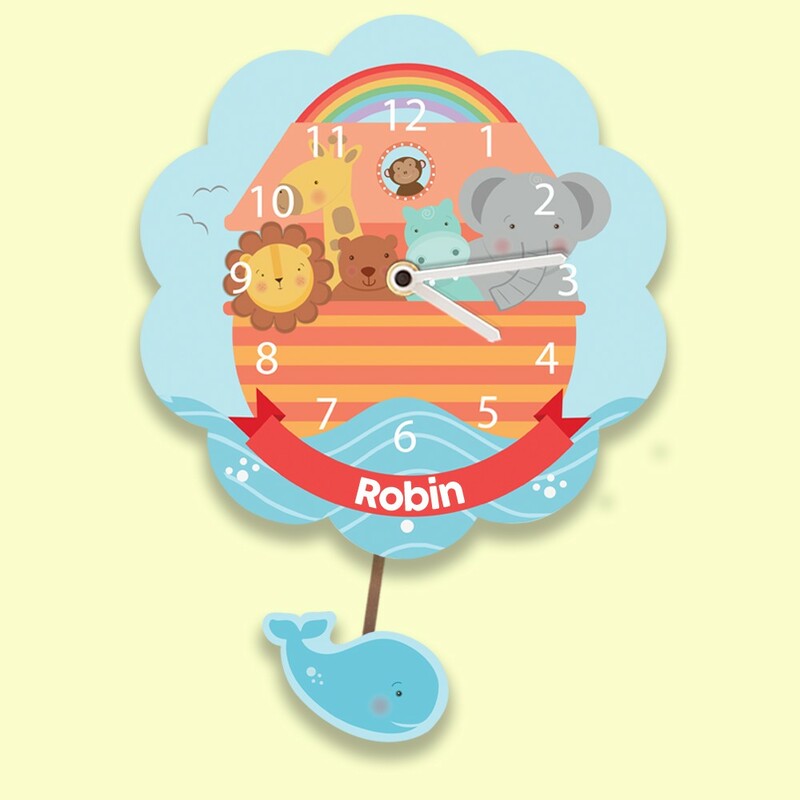 Our lovely wall clock is the perfect gift for a baby on their Christening, Dedication or Baptism. It also makes a wonderful first birthday gift. It features a silent tick mechanism, making it perfect for a nursery. The bright colours will stand out in any room, and as your child gets older they will love to use it to learn the time. The clock shows a hippo, elephant, giraffe, lion, bear and monkey all sailing along the wavy sea on Noah's ark. A colourful rainbow appears in the sky and a red banner gives space for one or two children's first names. Below the water, a friendly whale swims back and forward on the pendulum! It is designed and made in the UK and features a quality German Quartz movement which compliments the quality of the British design and manufacture. 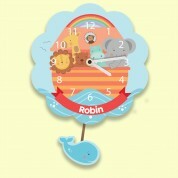 Any little boy or girl will love to have such a unique clock in their bedroom or nursery. We think it would suit any occasion, and can be used for years to come. Other designs are available.